Where is the clock face though? 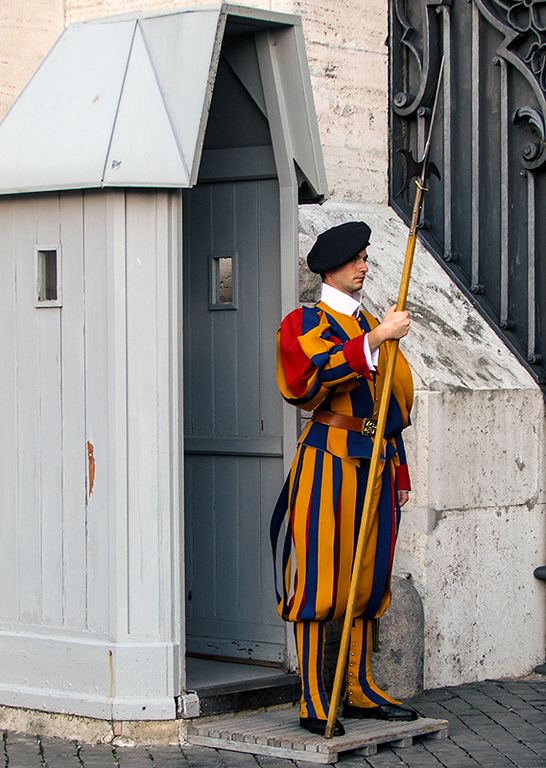 Swiss guard...say "cheese". Swiss cheese. Love the image! PS The camouflage uniform makes him hard to see....in a bowl of Mac and cheese! Thank you Ozi. I suppose you are right. It also gets very cold in Rome in Winter. Nothing like northern Europe of course but still cold when you're standing there like a statue. Ozi, I assume the Vatican Guards would wear winter uniforms to protect them from the winter weather. zafra52 wrote: Ozi, I assume the Vatican Guards would wear winter uniforms to protect them from the winter weather.